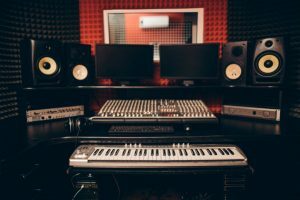 If you want to create the ultimate music listening environment, you have probably been doing a lot of research on the optimal combination of price and quality. You may have even been considering purchasing studio monitors for listening to music. 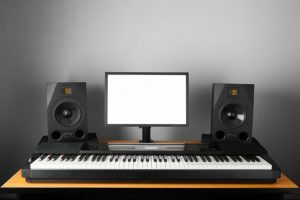 You may figure, “Well, if they’re used in music studios, they must produce the highest quality sound possible, right?” Before setting out with your wallet in hand, it is important to take into consideration exactly what makes a studio monitor what it is, and how its sound compares to a standard speaker. There are several things that make studio monitors different from conventional speakers. Sound- Of course, sound is the biggest factor in any speaker purchase. The creation of conventional speakers is centered around creating designs that can enhance the quality of any audio track. This means they are generally meant to enhance middle and high frequencies, as well as bass. 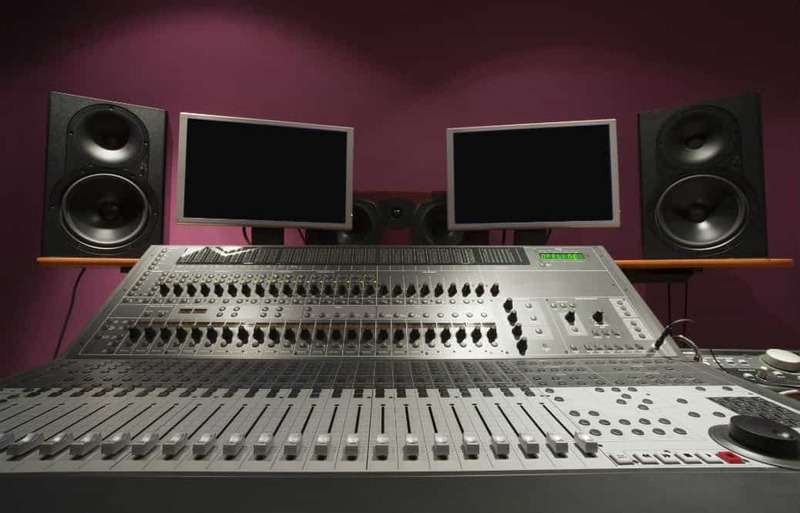 Studio monitors, however, are made to produce a flat sound, and therefore they do not enhance sound in any way. 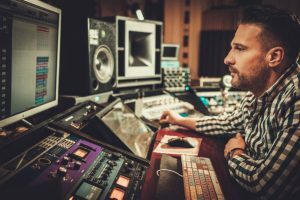 The purpose of a studio speaker, after all, is to ascertain whether or not a newly produced sound comes across as pleasant without any enhancements. Purpose- Speaking of purpose, studio speakers have a very different purpose than conventional speakers. Conventional speakers aim to create a sound that allows for the enjoyment of any music. 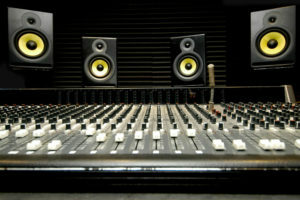 A studio monitor is made with the intention of being used in the creation of track mixes, and therefor is made in a way that does not impact the natural sound of the track. Benefits- A conventional speaker is made with the listener in mind. It offers enhanced sound and makes sure that the sound is even across all frequencies. Studio monitors, on the other hand, are made with music technicians in mind. They are intended to be used in an effort to accurately mix music. 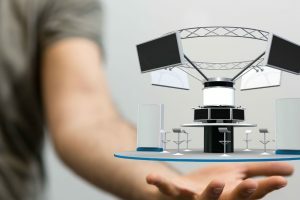 Distance- Conventional speakers are designed in a way that allows them to provide an even distribution of sound throughout any room, large or small. They can be listened to adjacently, or from the opposite end of the room. Studio monitors, on the other hand, are designed to be used only adjacently. Music technicians prefer this because the further they are from the source of the sound, the more the room can impact the sound. Amplification- Conventional speakers use what is known as passive amplification. This means they require an external tuner and/or amplifier. Studio monitors, on the other hand, use active amplification. They have integrated power amplifiers that are made in accordance with the requirements of their function. 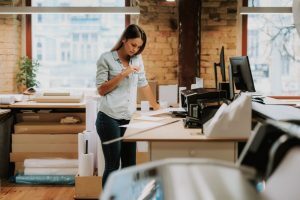 For even better operation, unpowered monitors can be used alongside what are known as reference power amplifiers. It is abundantly evident that studio monitors produce a significantly different sound than conventional speakers. 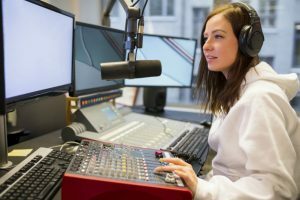 If they offer no sound enhancement, limited listening distance, and amplification intended for low-volume listening environments, why might someone even consider using a studio monitor in place of a conventional speaker? 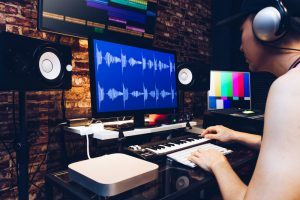 If you have any intention of trying to create your own audio tracks, a studio monitor would be an excellent addition to your home speaker setup. Their accuracy means that your mix can be made cleanly and with fewer errors. 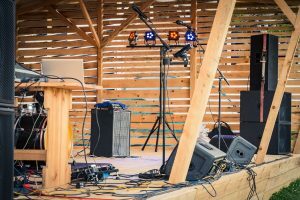 If you intend to set your speaker up near your computer, for example, and listen to music mostly while sitting there, a studio speaker would be an excellent choice. You can hear the music the way it was intended to be heard, without the enhancements provided by conventional speakers. If you consider yourself an audiophile, you may be looking for a way to listen to music in a way you have never heard it before. There is something thrilling about hearing music the way it was heard when it was mixed and sent off for mass-consumption, without artificial enhancements. Not everyone feels this way, but any audiophile will understand this opinion, and may be interested in experiencing it for themselves. If you do not fit into the above groups of people, you may be better off with conventional home speakers. Additionally, if your budget is on the lower side, you will be able to get more bang for your buck with conventional speakers instead of studio monitors.